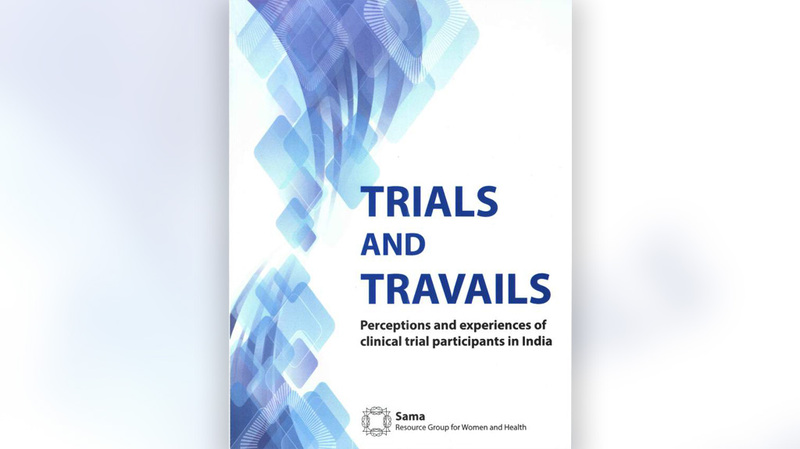 This research report is based on a study conducted by Sama to explore concepts and processes linked to clinical trials in India and exploring the perceptions of “Clinical Trial Subjects” (CTSs), learning about their motivations for participating in clinical trials developing a narrative about their experiences of the processes of recruitment and informed consent. Sama conducted a multi-site research study during 2011–2013. The selection of four states Gujarat and Maharashtra (western region); Delhi (northern region); and Andhra Pradesh (southern region) for this study was based on the large number of clinical trials being conducted in these states. In these states, 36 interviews with CTS were conducted along with interviews with Key Informants like PI, CRO Ethics Committee members of various institutions involved in clinical trials. The study found that some of the most common avenues of patient recruitment were the Outdoor Patient departments and Indoor Patient Department along with doctors’ referrals, Health Camps, word of mouth, recruitment from beneficiaries of Arogyashree. At the time of recruitment, the recommendation of the physician was one of the primary factor influencing patients’. There are various ‘push’ (economic factors, medical conditions of the person, altruism) and ‘pull’ (free treatment, priority treatment, trust in doctors) factors that attract participants to CT trust on doctor and free treatment being foremost. Requisites of real consent taking not followed and lengthy consent forms were primarily to safeguard the interests of the sponsors and the Principle Investigators rather than participants. Trial participants were not aware of the compensation payable in case of occurrence of adverse events nor about insurance. Reporting of Adverse Events was also not followed adequately. The calculation of the compensation amount was mostly done by the PIs based on discretionary factors. Findings of the study indicate that lack of access to affordable healthcare in the country, combined with the government policy to encourage clinical trials in the absence of a comprehensive / strong regulatory framework for the protection of the rights of clinical trial subjects, is bound to result in further violations of the rights of individuals who are treated as “experimental subjects”. It advocated an urgent need for mechanisms to be put in place for independent monitoring and reporting of clinical trial processes, to ensure that the perspectives and concerns of clinical trial subjects are included.